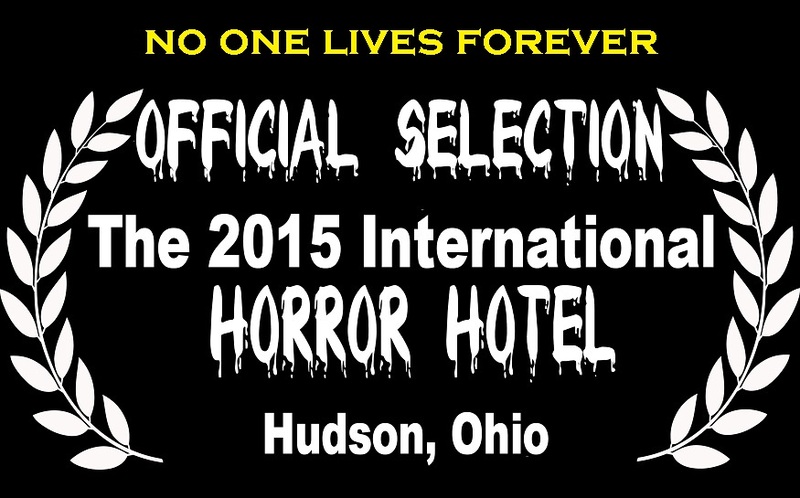 NO ONE LIVES FOREVER will be screening at the INTERNATIONAL HORROR HOTEL FILM FESTIVAL on Sunday, June 7, 2015 at 11:00 AM at the Clarion Inn & Conference Center, Screening Room B, Hudson, OH. For more information, visit: http://horrorhotel.net/screenings.php. 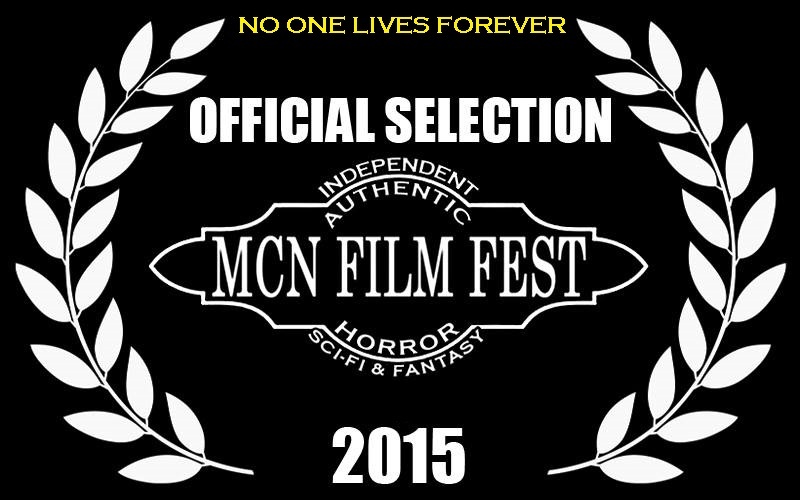 NO ONE LIVES FOREVER will be screening at the MOTOR CITY NIGHTMARES FILM FESTIVAL on Saturday, April 25, 2015 at 5:00 PM at the Novi Sheraton Hotel, Kensington Room, Screen 02, Novi, MI. 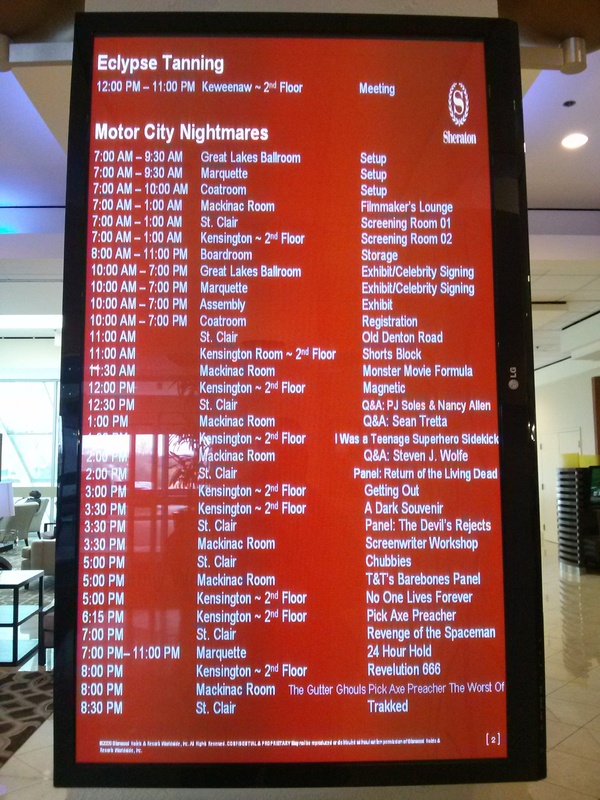 For more information, visit: http://www.motorcitynightmares.com/film_festival. 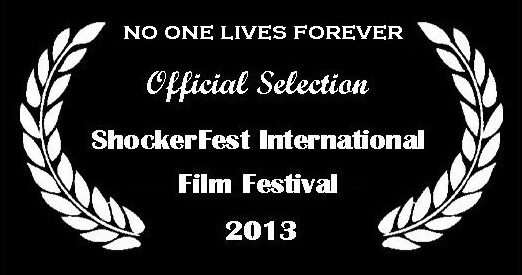 NO ONE LIVES FOREVER will be streaming online at the SHOCKERFEST INTERNATIONAL FILM FESTIVAL on Wednesday, October 16 and 23 at 9:00 PM (Pacific Standard Time) at: http://www.shockerfest.net/. 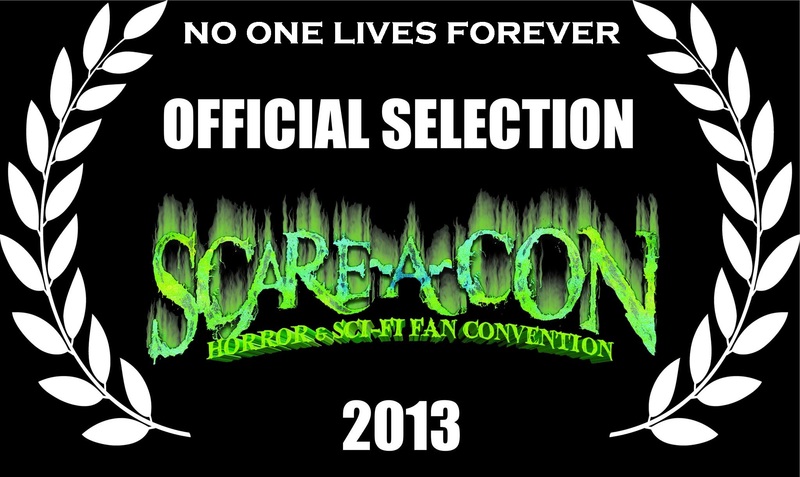 NO ONE LIVES FOREVER will be screening at the SCARE-A-CON FILM FESTIVAL on Friday, September 13, 2013 at 5:30 PM at The Turning Stone Resort and Casino, Screening Room A, Verona, NY. 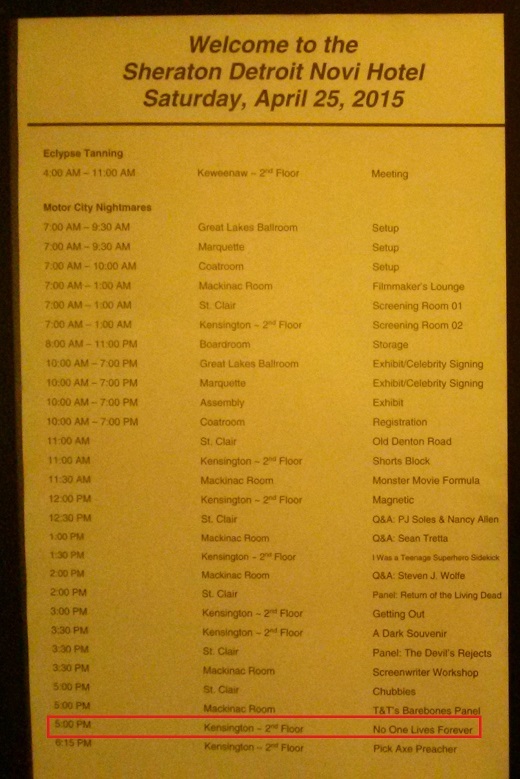 For more information, visit: http://scareacon.com/film-festival/film-fest-schedule-2/. 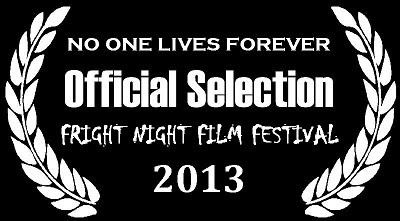 NO ONE LIVES FOREVER will be screening at the FRIGHT NIGHT FILM FESTIVAL on July 27, 2013 at 5:00 PM at The Galt House Hotel, Laffoon Room, Louisville, KY. For more information, visit: http://www.frightnightfilmfest.com/. Vanessa Bontea interviews actress Anna Landreth (Petra/Aiona) before the premiere of No One Lives Forever.